Ohio with his new wife (Deb) to pursue a DVM degree at The Ohio State University. Brutus (Black Lab), Bella (Black Lab) and GiGi (Yorkie). Dr. Heather R. Sydebotham (Soncrant) is a 2002 valedictorian graduate of Clay High School. She attended OSU for her undergraduate studies where she also had the opportunity to study abroad in Australia. During her undergraduate studies she worked for Med Vet Columbus (a referral and emergency clinic). 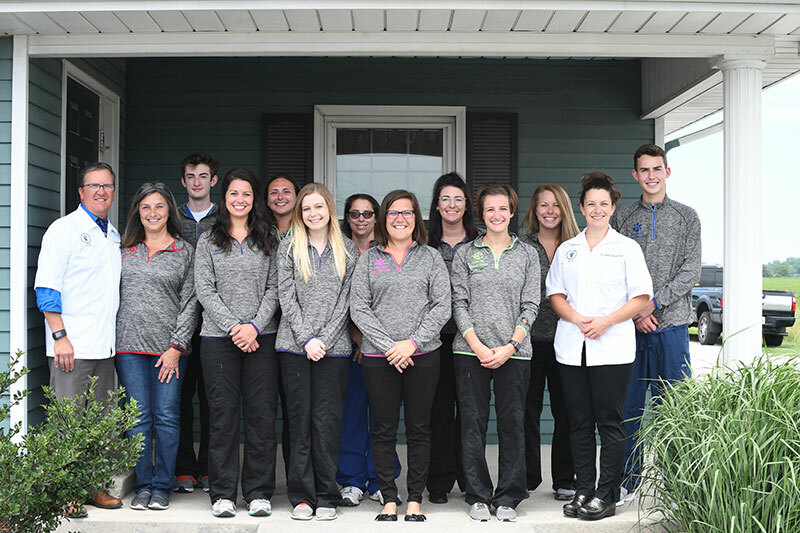 Dr. Heather followed in her grandfather and father's footsteps as she also graduated from The Ohio State University College of Veterinary Medicine in June 2009. Dr. Heather works side by side with her father as our second full time veterinarian. Dr. Heather lives in Graytown, OH with her son Jacob, Jack Russell Cally and newly adopted cat Cashew. She enjoys spending time with her son and family, horseback riding, playing board games such as Scrabble, and anything to do with animals. She is a true animal lover! And of course, she was born a buckeye...Go Bucks! MBVH) Deb attended The University of Toledo. teaches Art at Clay High School and maintains part time office management duties at MBVH. Brutus (Black Lab), Bella (Black Lab), and GiGi (Yorkie). Missy is a 2006 graduate of St. Ursula Academy. She attended The University of Toledo for Business Management. Missy is currently putting her management skills to work in the office and helping to run the family business as she is our office/personnel manager. She completed the VMG Leadership Program at the Daniels College of Business/University of Denver in Aug 2014 and continues to work on her practice management skills through continuing education. Missy is also a very active member in our community coaching at the Oregon Recreation Center and helping the American Cancer Society planning board for the Relay for Life and the Bark for life. Missy enjoys family-time with her husband Steve and their sons Lucas & Aedan, fishing, jetskiing, fourwheeling, and just about any outside sport or activity they can find. She lives east of Oregon with her husband Steve, their sons Lucas & Aedan, and their dog Gunnar.....she was born a Buckeye too, Go Bucks! Mackenzie Engel, RVT graduated from Stautzenberger College in 2012 with a degree in Veterinary Technology. She worked in Michigan for a year at a small animal/exotic clinic. 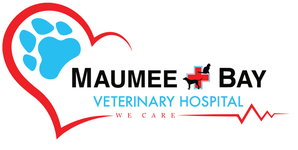 In 2014, she moved back to Ohio and started her work here at Maumee Bay Veterinary Hospital. She has a knack for technology and computers. She enjoys spending time with family, being in warmer climates and relaxing with a good book. She lives in Millbury, with her husband Jacob their calico, Coco and their lab puppy named Penny. She is due with her first child in August! Courtney is a 2014 graduate from Clay High School, and just graduated from Stautzenberger College with her Veterinary Technician degree. This is her first job in the veterinary field and she absolutely loves it! She joined the team in March after her externship with us. She has always had a passion for animals. Courtney loves anything Disney, spending time with her animals at home and traveling with her friends. Courtney currently lives in Oregon with her family. Bri gradutaed from Stautzenberger College in 2017 with her Veterinary Technician degree. She joined the team in January after her externship with us. She had wanted a career working with animals her whole life, they truly are her passion. Her favorite part of her job is building relationships with patients and clients, and doing what she can to help animals. She enjoys traveling to warm areas and spending time with her family and friends. Bri lives in Oregon with her fiance Anthony, their daughter Sophia, her loving Pitbull Xena & orange tiger cat Oliver. Nicole is a 2007 graduate from Rossford High School. She has been a part of the MBVH team since 2015. Nicole has always had a special interest in animals. Growing up she always had some sort of pet, from fish to dogs, as well as being around her grandparent's horses at Raceway Park. Nicole's favorite part of working here is building & creating new relationships with all of our clients & patients. When she isn't greeting you at the front desk, she enjoys her sleep, spending time with her schnauzer mix Linus, going to the zoo as often as possible, traveling and cheering on the Detroit Tigers! Roxanna started working here in 2000. She moved to Ohio from KY in 1989. She graduated from the Ohio School for The Deaf. She has two sisters that are both married. She lives with her mom and her step-dad. She loves to work on her computer and talk to friends. She now has three cats and two dogs. The newest edition to her family is her new Boston Terrier that she calls Baby Girl.